Summary: When the boy’s mother drops him off at his Thai grandfather’s house, he faces an evening of missed communications. Grandpa only speaks Thai, and watches Thai movies on TV. Bored, the boy pulls out paper and markers from his backpack. When his grandfather sees what he is doing, he brings out his own sketchbook, and the two finally have a connection. They create a magical world of warriors and dragons; even when the old distance between them threatens, the boy isn’t afraid. Wielding a paintbrush, he creates a bridge that brings them together again. When Mom comes back for her son, he and his grandfather embrace, leaving with the promise of many new adventures just ahead. 40 pages; ages 4-8. Pros: This simple but powerful story celebrates art as a connection between generations and cultures. 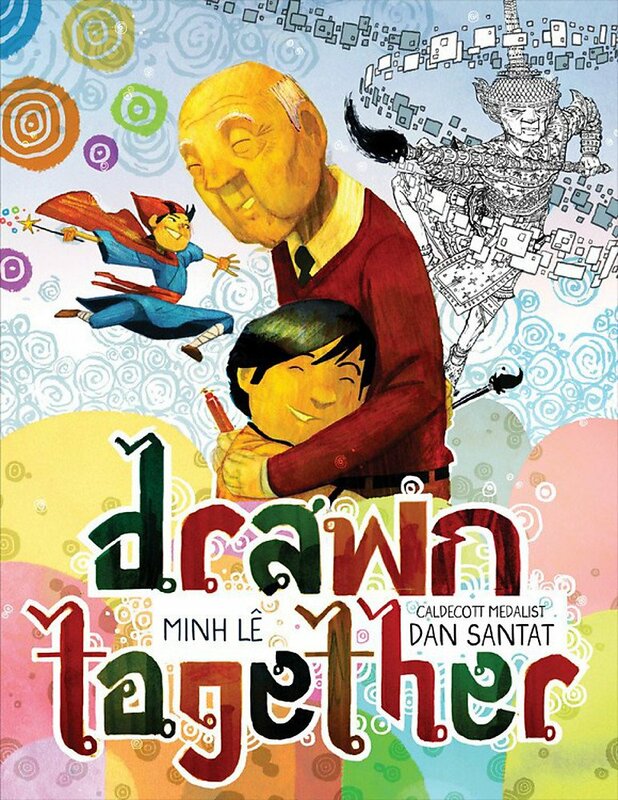 The illustrations could put Dan Santat in contention for another Caldecott. Cons: Don’t go too fast, or you’ll miss the exquisite details of the illustrations. The content is lovely, but I just want to give a special shout out to that title. Such efficient elegance.